If you’re one of those people who dislike trusting iCloud with backups of your precious iPhone data. Or if you just like having a local backup in addition to iCloud, syncing your iPhone with your Mac is essential. That, of course, means having to use iTunes – the Apple app that users love to hate. However, there is another way. You can backup your iPhone to your Mac without using iTunes, access all iOS data, choose which items you'd like to sync across your iOS devices. How? By using AnyTrans available on Setapp. 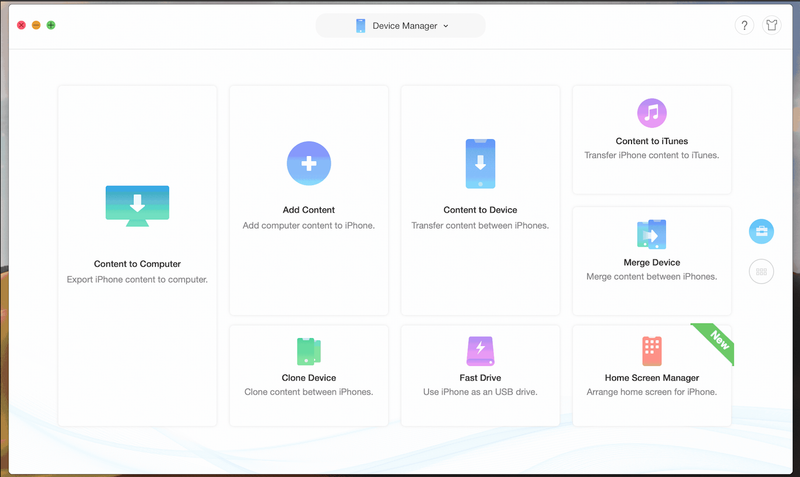 AnyTrans allows you easy syncing between your Apple and Android devices, backup or archive your iPhone to you Mac, or copy files between the two devices whenever you need to. It’s an ideal solution for anyone who wishes there were no boundaries between all personal devices. Grab AnyTrans on Setapp. 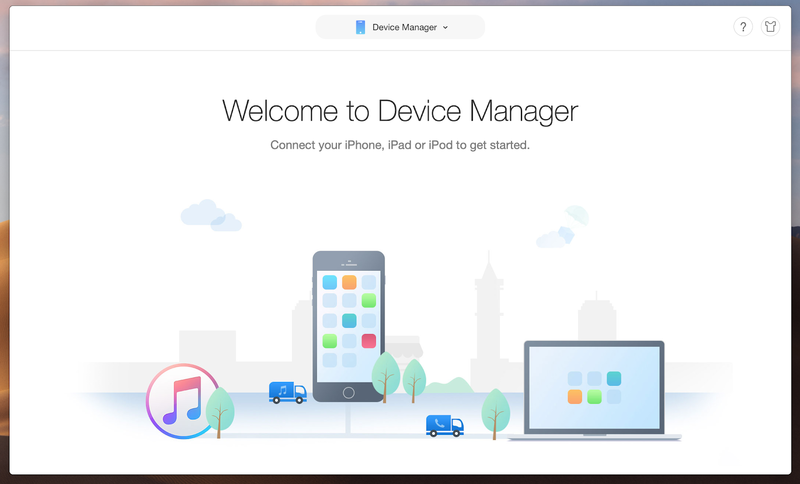 Once it’s downloaded and installed, the app will prompt you to connect an iPhone, iPad, iPod or Apple TV. Connect your iPhone to a USB port on your Mac. On your iPhone, type in your passcode or use TouchID to unlock it. If prompted, tap Trust in the ‘Trust this Computer?’ box that may display on your iPhone’s screen. Your iPhone will appear in iMazing’s sidebar. From now on, as long as your iPhone is on the same wifi network as your Mac, it will connect. If there’s no wifi, you can connect via USB. With your iPhone connected, click Air Manager Backup in the middle panel. You’ll see a list of options displayed on screen. 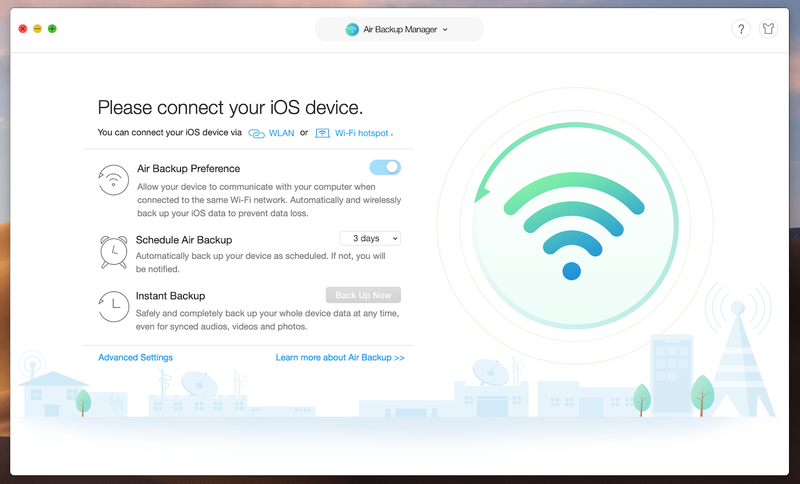 If you want to enable automatic backups – so your iPhone will be backed up whenever its connected to the same wifi network as your Mac and AnyTrans is running – click Schedule Air Backup and customize timing. When you’re ready, run an instant backup. You can also access Advanced Settings in the bottom left corner to define path or customize other backup preferences. Tip: If you’re having trouble connecting your iPhone by wifi, NetSpot and Wifi Explorer can both help. They analyze your wifi network and highlight any problems that might be causing a loss of signal or interference on the signal. You can then use the information they provide to fix any problems or optimize your network. Clone, merge, add content from computer, or choose specific files to transfer from your mobile device – it’s easy to go all the ways with AnyTrans. If you want to move specific file categories from iPhone, click on Content to Computer in Device Manager and check the boxes next to what should be transferred. That’s it – you just watch your data fly. With AnyTrans, you also need no iTunes to download audio and video files from the internet – right to your iPhone. The app has an in-built Media Downloader that delivers media content from 900+ websites to personal devices. YouTube, Vimeo, Dailymotion – all your faves are covered. Beautifully, you can enjoy all the downloads both on your computer and iPhone. The unity of iPhone and Mac is only one of multiple file transferring flows supported by AnyTrans. You can also dive into cloud drives as well as sync your iOS and Android devices, so that nothing gets lost in the shuffle.